A month ago, John got free tickets to the Timberwolves game. I went with the boys and John's dad, Roland. John had already made plans a month in advance to play poker with some friends, so he missed out. Boy, we had a good time. The seats were nice, and at $75 each something we could not afford. That made it even better. 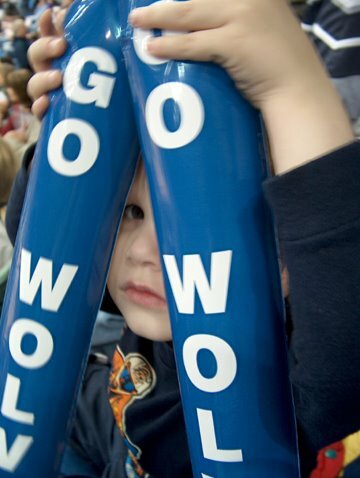 When the Timberwolves play, you have to howl like a wolf when the other team is making free throws. The boys absolutley loved that. NBA games are entertaining and I was very surprised the boys could sit there so long. So we now have 2 little T-wolves fans howling all the time at our house. The following weekend, we went to the Cities for a getaway. We just celebrated our 10th anniversary in February, so we wanted to do something fun. 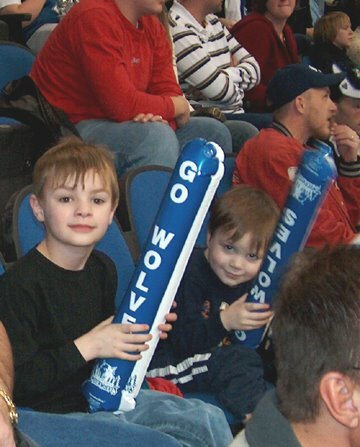 John, his dad, and the boys went to see Monster Jam at the Metrodome, while Barbara and I went to the casino. Barbara walked out a winner with $70. I must have had a big "L" for loser on my forehead, cuz I didn't win anything (I lost $12). All boys , even the big ones, had a great time at Monster Jam. Bodie talks all the time about Gravedigger. "Mom, it was awesome," he says. Then he goes on and on about how the trucks jump and run over things and basically get destroyed. It was totally up his alley. The next day we went to IKEA and then to Chuck E. Cheese. We all had a great time. I think its always nice when you can get away, even if its just overnight. 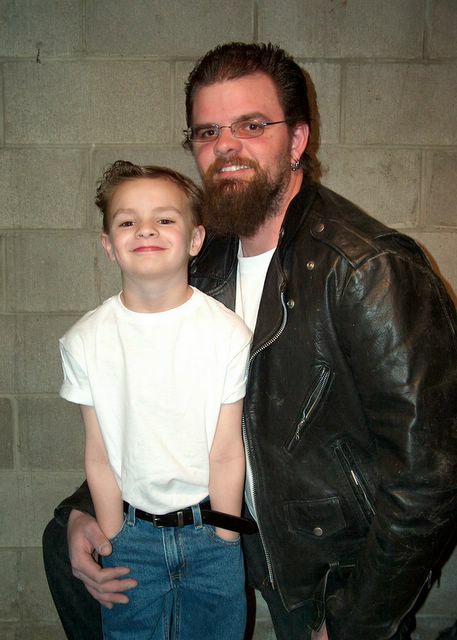 Also 2 weeks ago, Tye had a dance at school where he had to dress from a decade. We chose the 50's. ( See picture above) They played a lot of 50's music, and he learned to Hula hoop. The past couple of weeks have not been so much fun. I have been fighting a cold, fevers, and the stomache flu. I felt horrible for almost 2 weeks. Luckily, John only caught the stomach flu from me and the boys are both still fine. I feel like I'm 2 weeks behind now. I'm very tired this week trying to get caught up. 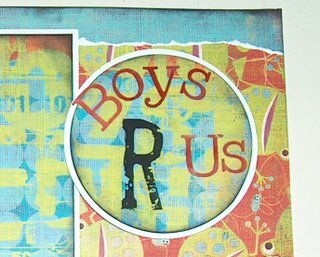 I finally listed a few scrapbook pages on Ebay. Click on the picture to see the listing. If all goes well, I may be able to make some $ on Ebay, and that would be great. 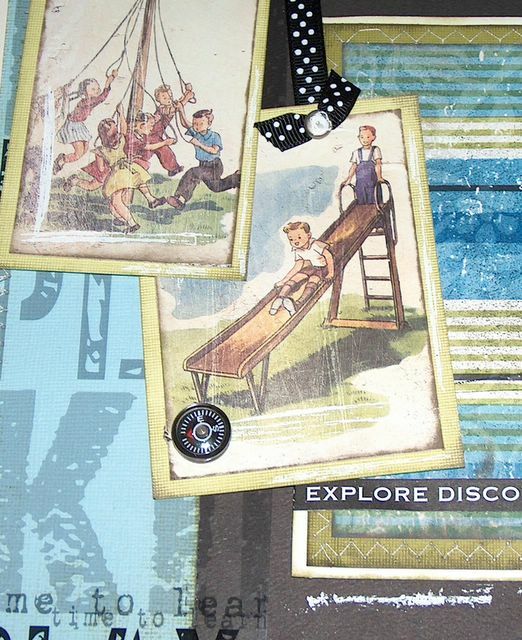 I just love scrapbooking, and if I can get my name out there then I really think I could do well for myself. Wish me luck!